Tammy Doherty has graciously given me an interview today on her blog, Faith, Fiction and Friends. In the interview we discuss history, writing, research, and mostly, my historical writer's marketing group, CROWN. 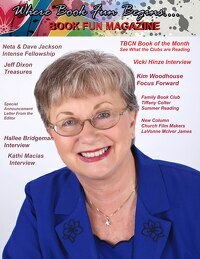 I hope you'll stop by Tammy's blog and read about how CROWN is busily promoting writers like Lena Nelson Dooley, Vickie McDonough, M.L. Tyndall and many others who write for the inspirational market. See a sneak preview of upcoming releases. Kathleen, I'm headed over right now. Went and read your interview. You sound like a busy woman. Didn't realize you have so much going on. Do you have a specific site for the CROWN group?